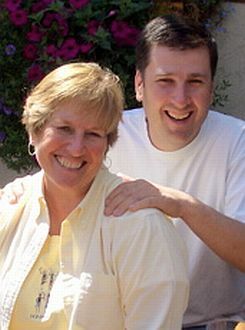 “My husband Brian helped me name my company,” Sandy recalls. 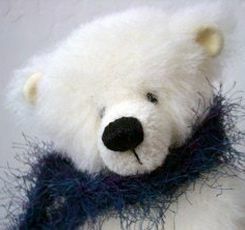 “I was worrying over what to call my new company, and he asked me what I wanted my bears to be. I told him that I wanted the bears to be the very best that I could make. I said I didn’t want them to be schlok bears. My Grandmother used this German word to mean ‘not very good; not perfect.’ Kind of a 4-letter word! 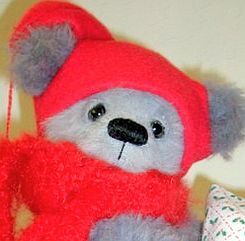 Thus, my bears became NOT-SCHLOK or as I spell it; Notchlok.” And that is how the name Notchlok Bears came to be. 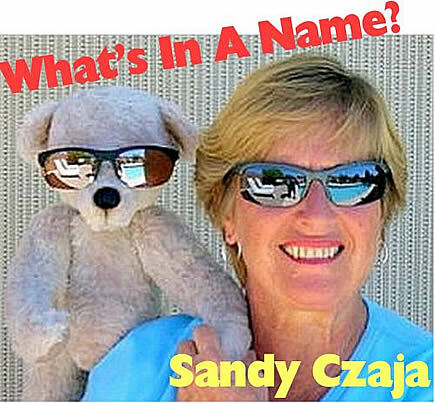 Bears have been a pivotal part of Sandy’s life. 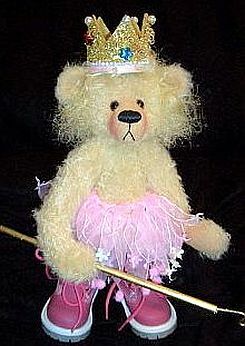 “When I was an infant, I was given a bear by my aunt Dorothy. 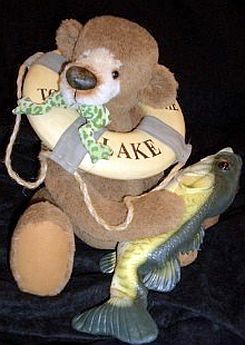 I loved all the fur off the bear because he never left my side.” Sandy goes on to say that her mother mentioned they once turn the car around and headed back to their vacation cottage because her bear had been left behind, and she wouldn't stop crying. 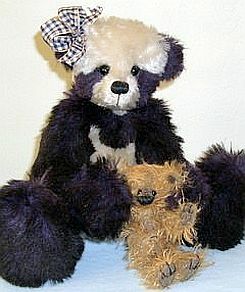 “I don't think my family was as fond of my bear as I was!” Sandy added. 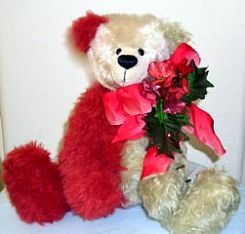 She began seriously with her business in 1994, “I probably started a year or two before then, and could not believe anyone would love my bears as much as I did.” But they did. Currently Sandy and her husband of 44 years, Brian reside in Arizona where they enjoy their picturesque home close to the San Tan Mountains. “The scenery is wonderful to look at each day and it helps keep us grounded,” she said. Sandy and Brian share their home with a variety of animals. “I’m sure sharing life with children and animals was a wonderful platform which helped prepare me for designing and creating “critters,” especially bears,” Sandy states. Drawing inspiration from her surroundings, she finds ways to make her bears mimic human characteristics. “I try to express, with the look on their faces, by the way they stand, pose, and the costumes the bears wear, that they have something to say,” A self-proclaimed “sap” for a sweet face, it is one of the features she looks for when she is collecting bears.